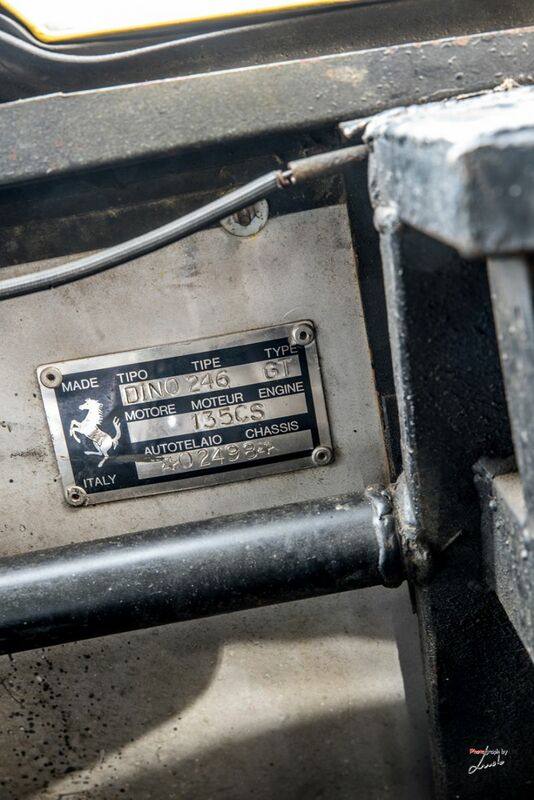 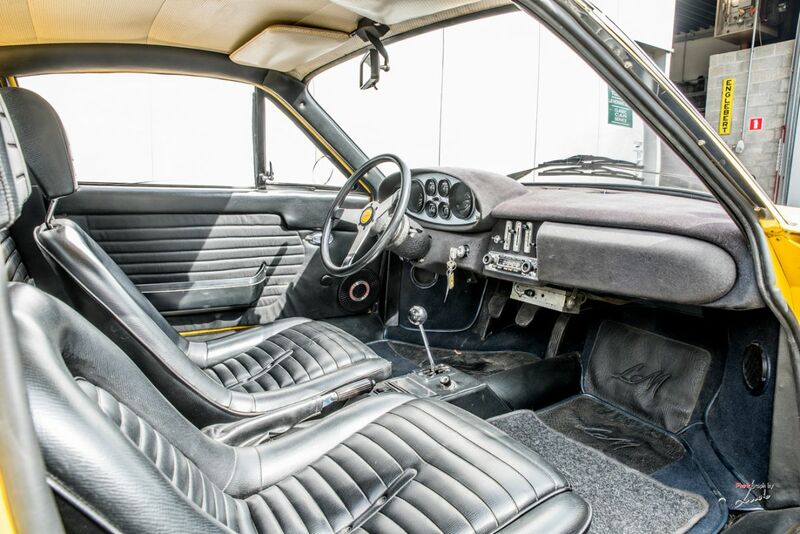 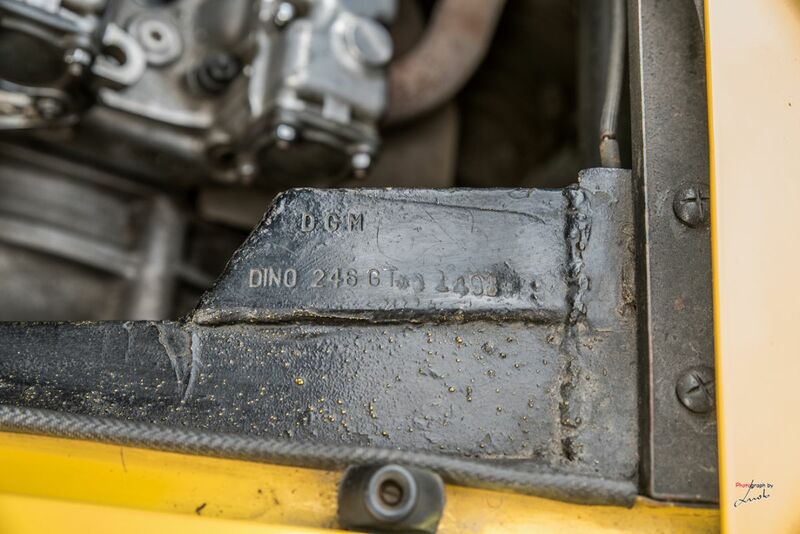 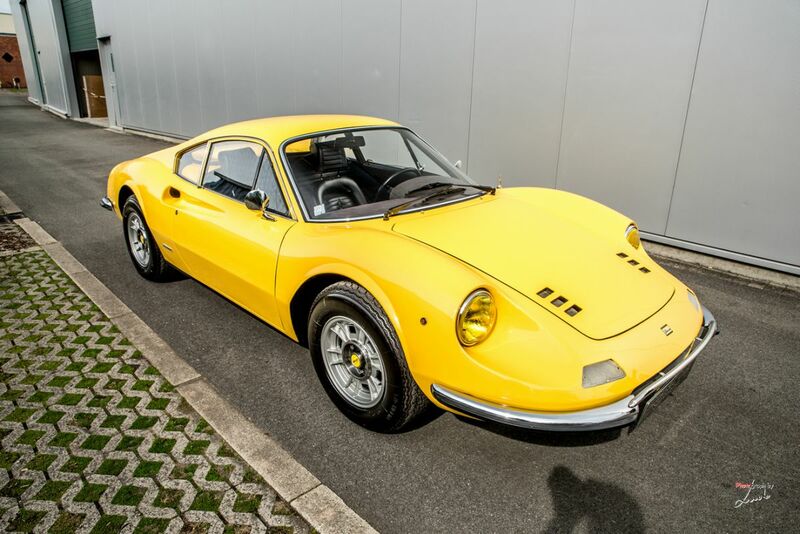 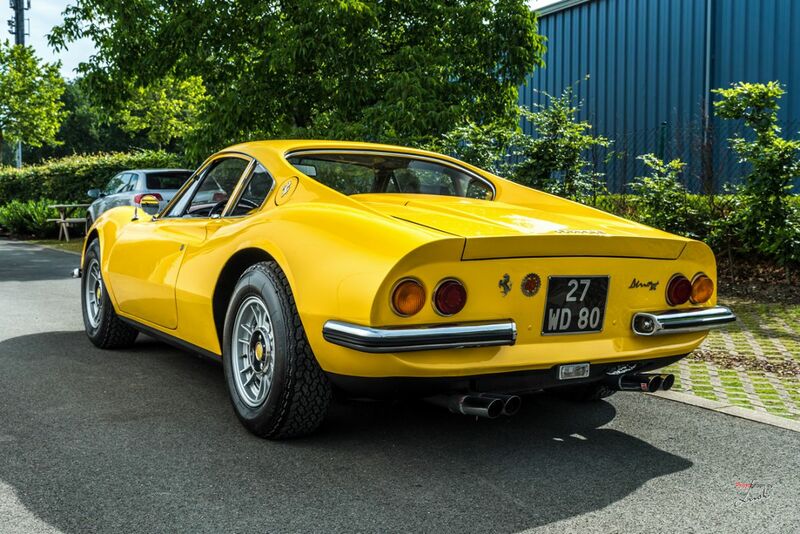 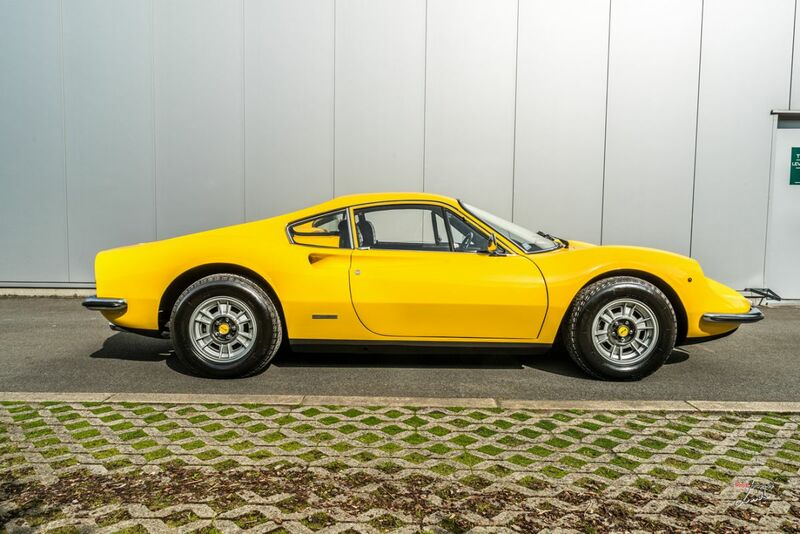 This 1972 Ferrari Dino 246 GT (chassis number 02498) was new delivered to Switzerland. 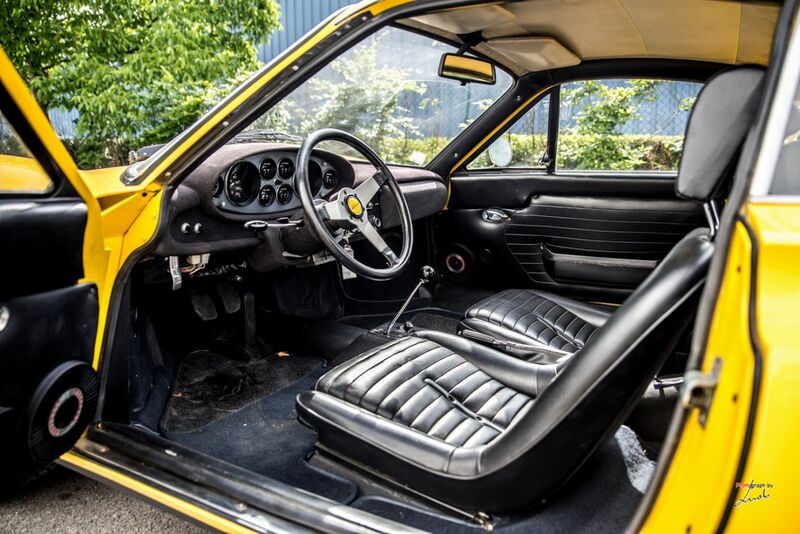 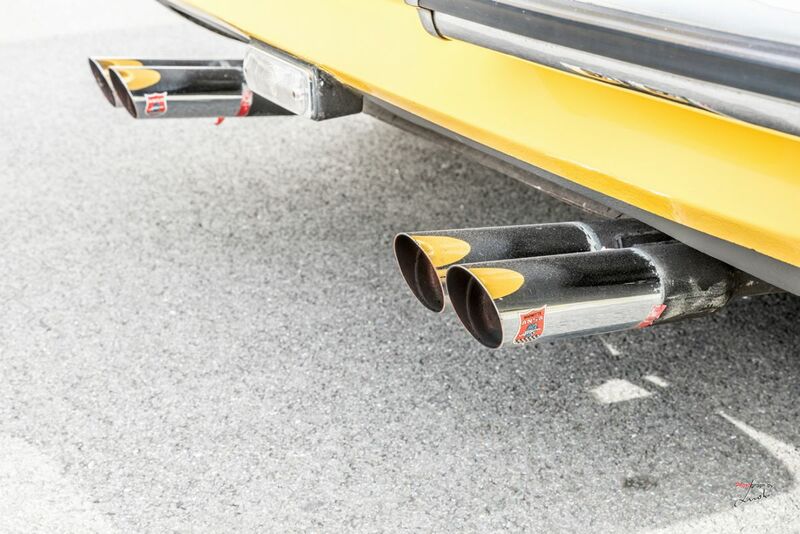 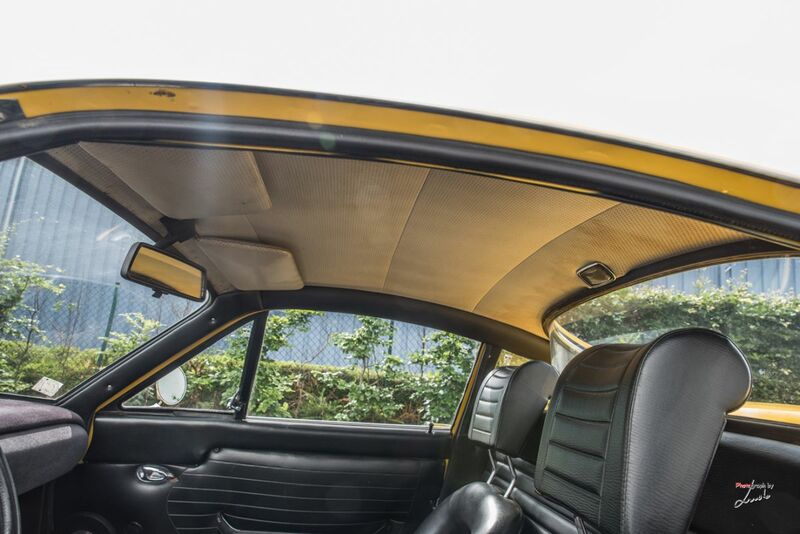 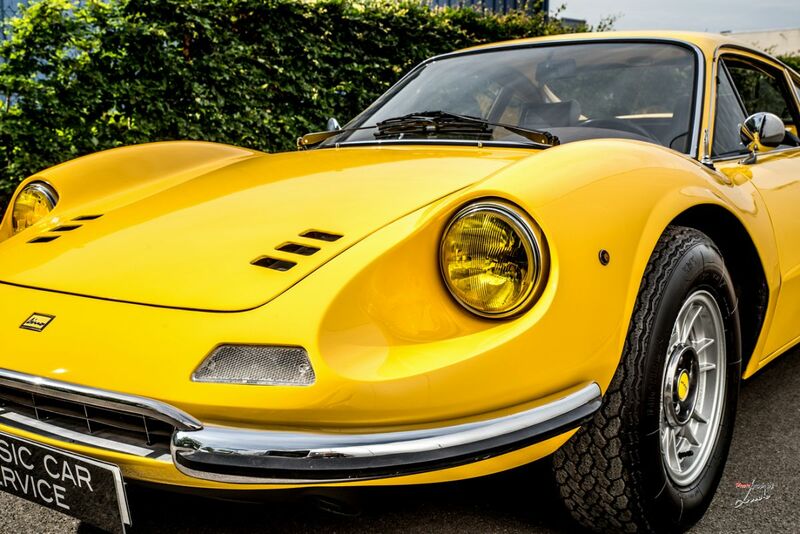 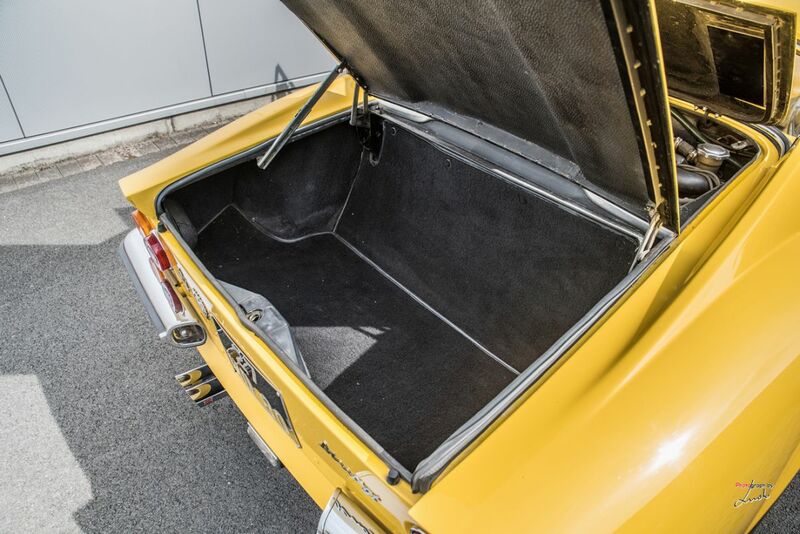 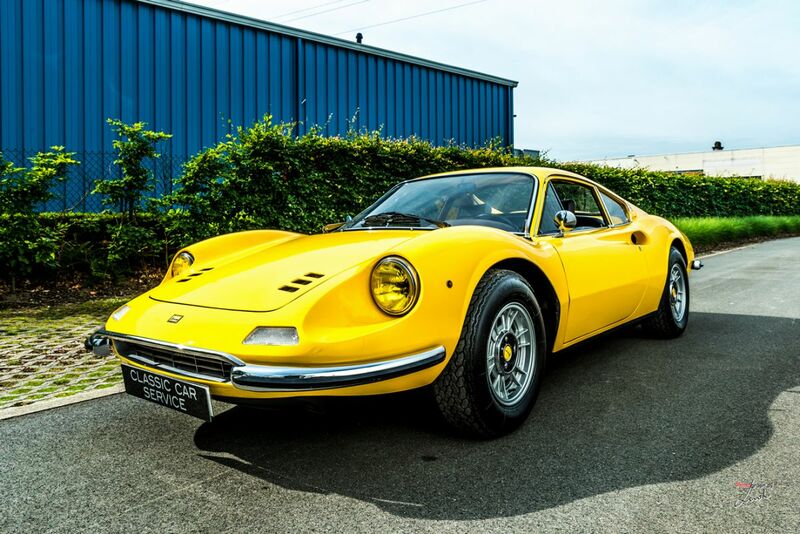 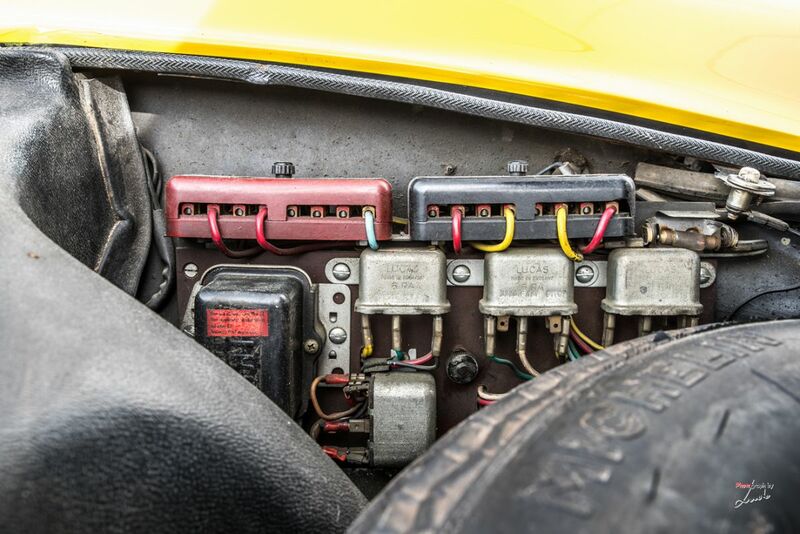 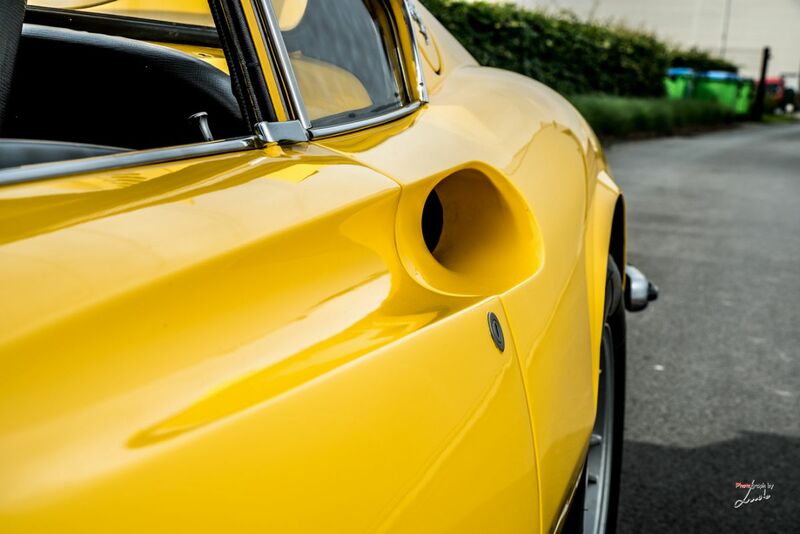 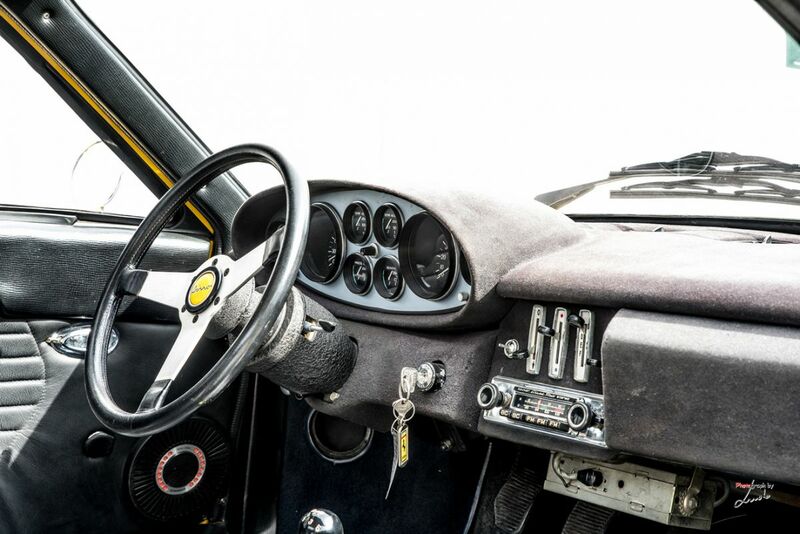 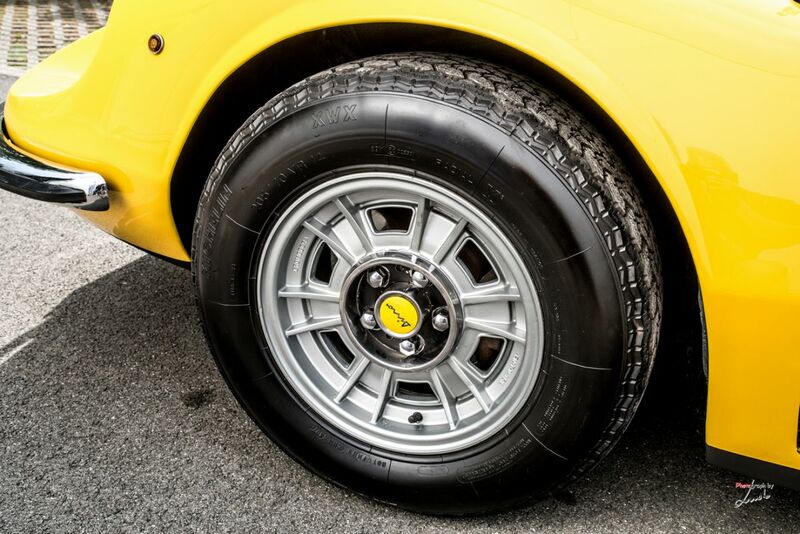 It’s a complete matching number car and it’s in its original “fly yellow” Ferrari colour with a black vinyl interior. 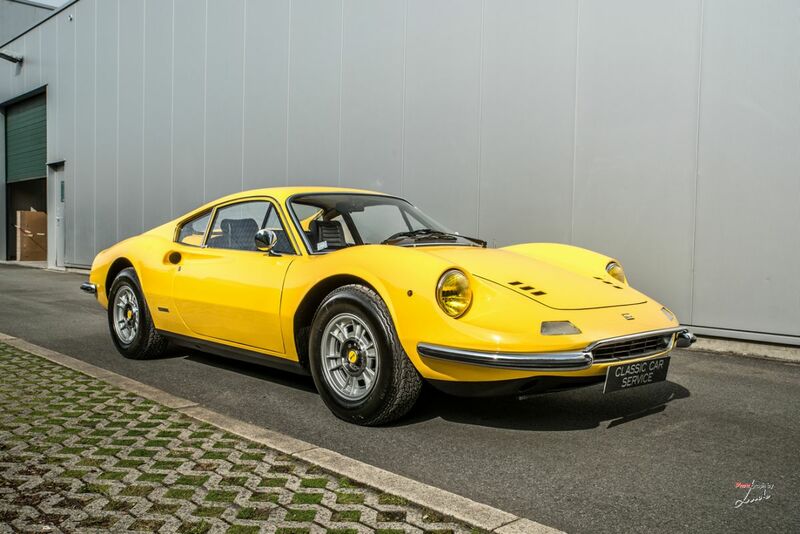 It was first registered in France in March 1973 with license 6399ZX75 and was owned by Mackenzie Hill. 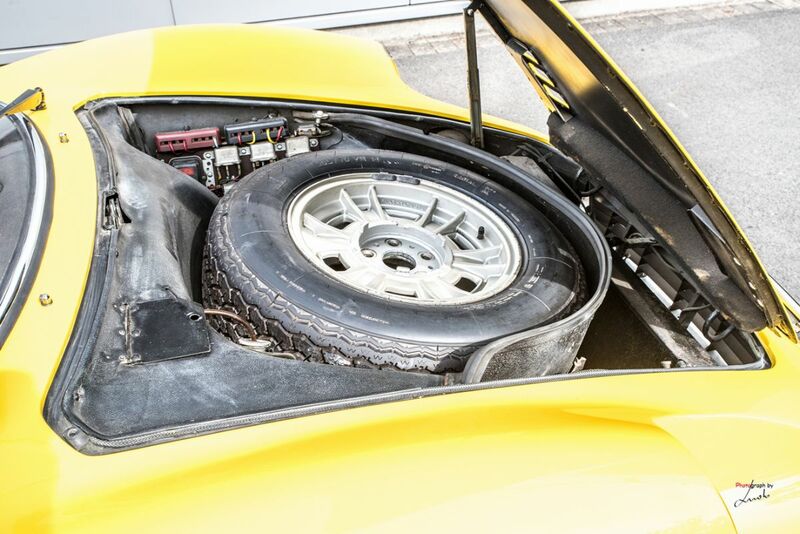 The second owner, in 1981, was Jean-Pierre Maillard, a French race car driver who drove it with license 1371SZ91. 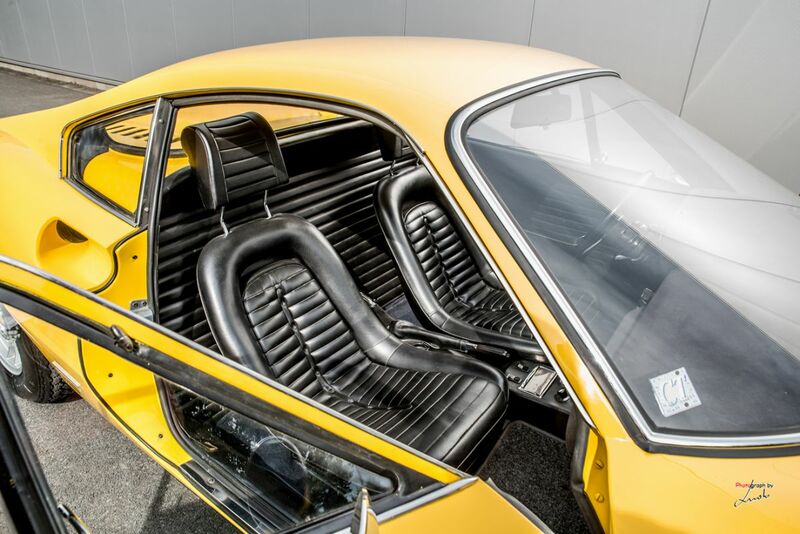 In 2003 the car was imported to Belgium by the late President of the Porsche Classic Club Belgium. 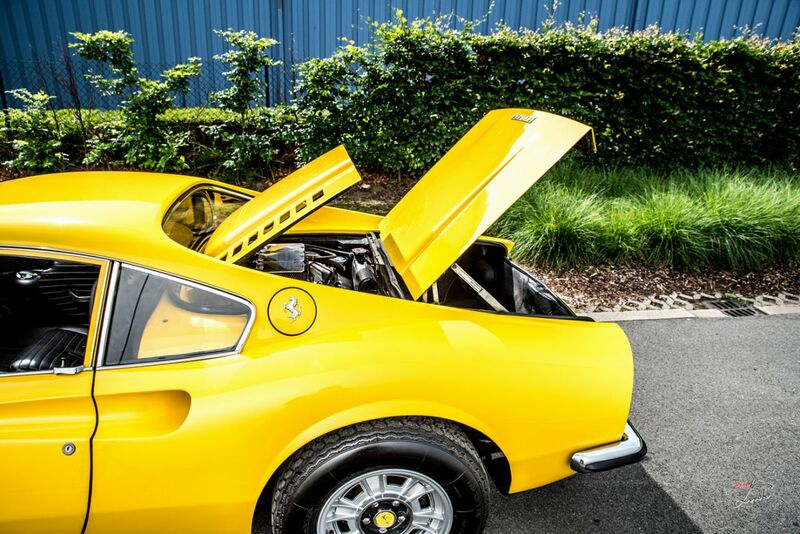 He had the car repainted and had it freshened up mechanically. 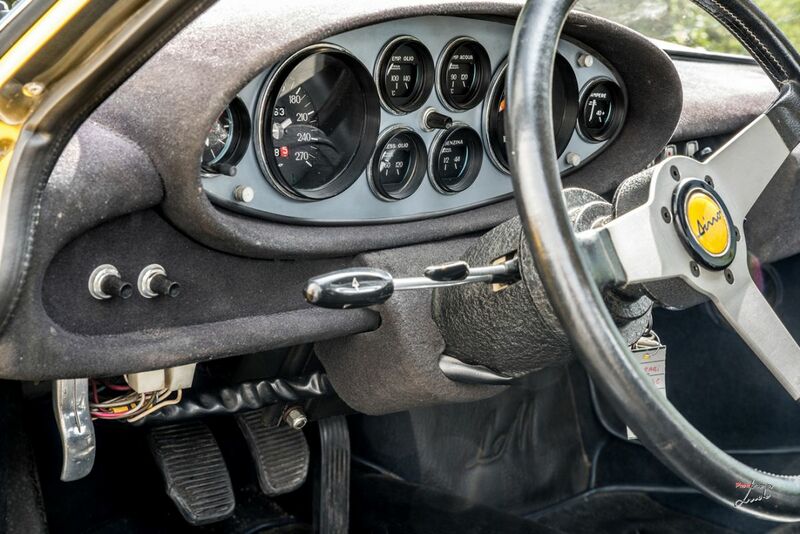 In the 15 years that the car was owned by his family, it has hardly been driven. 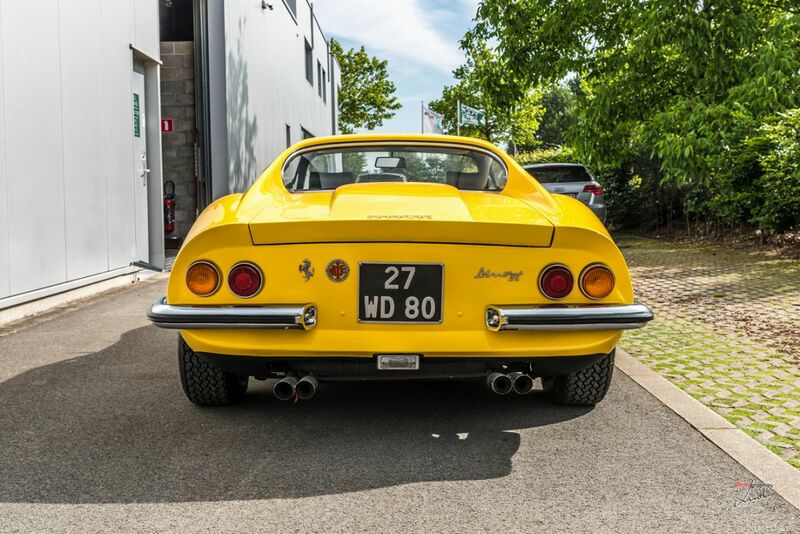 The car was never registered in Belgium and still has the French paperwork. 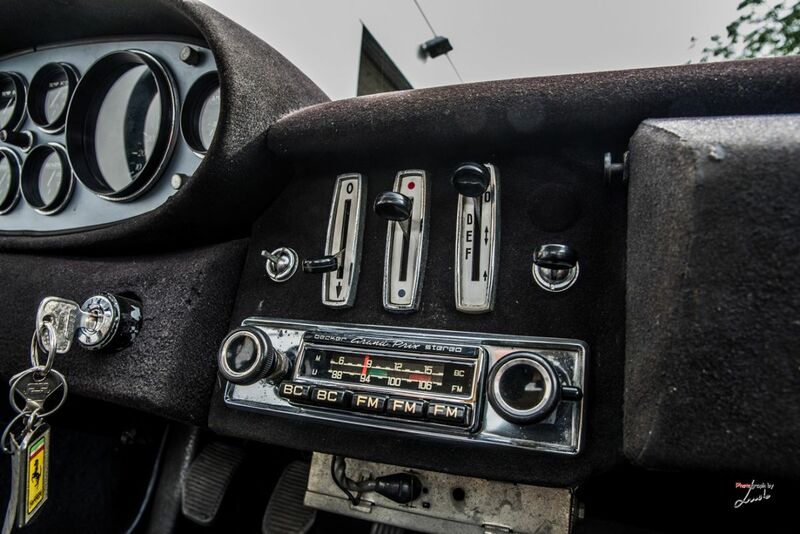 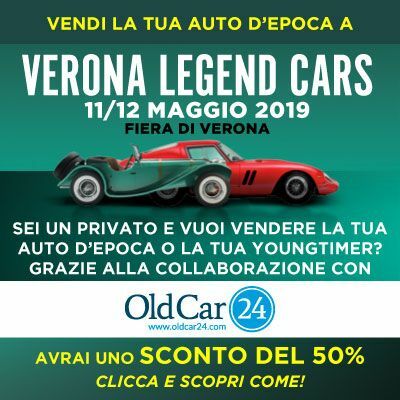 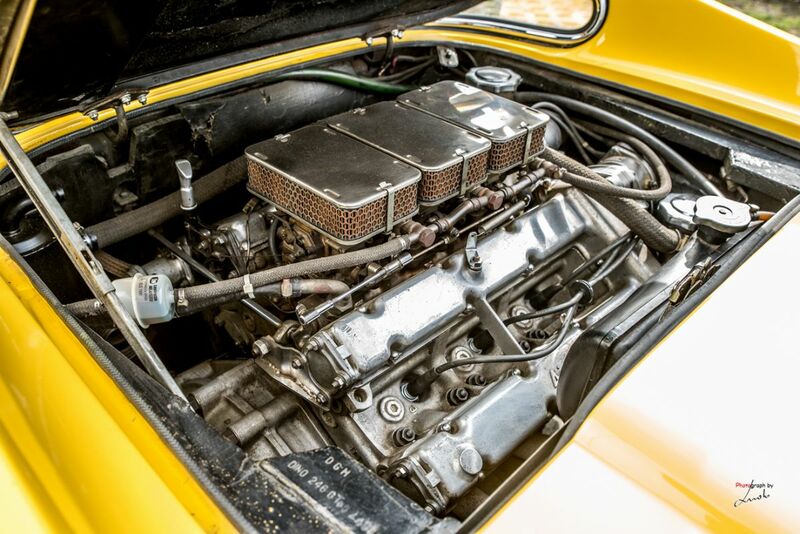 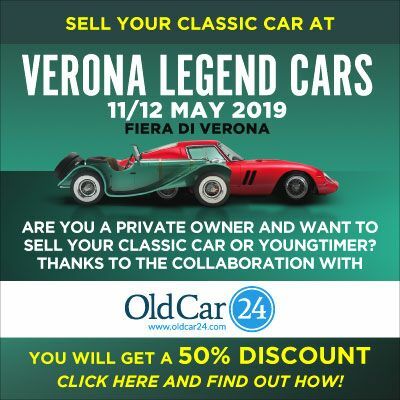 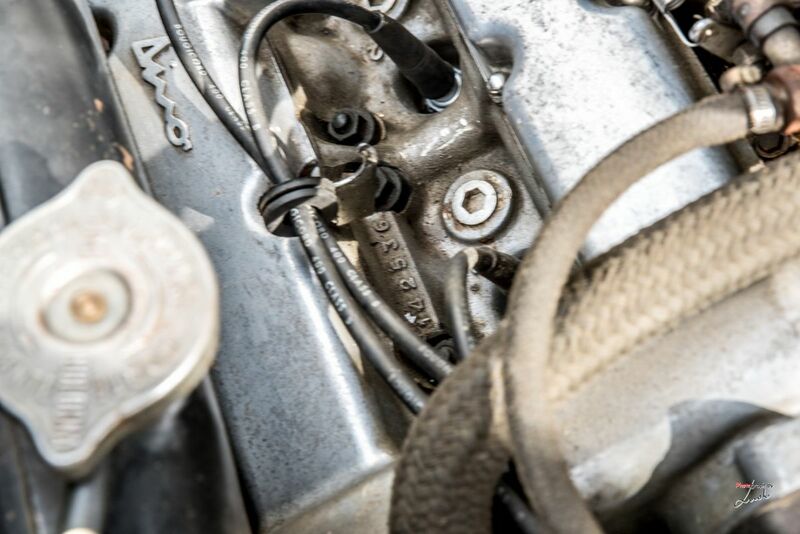 It is not in concours condition, but it is an honest car that still is in very good condition and runs very well. 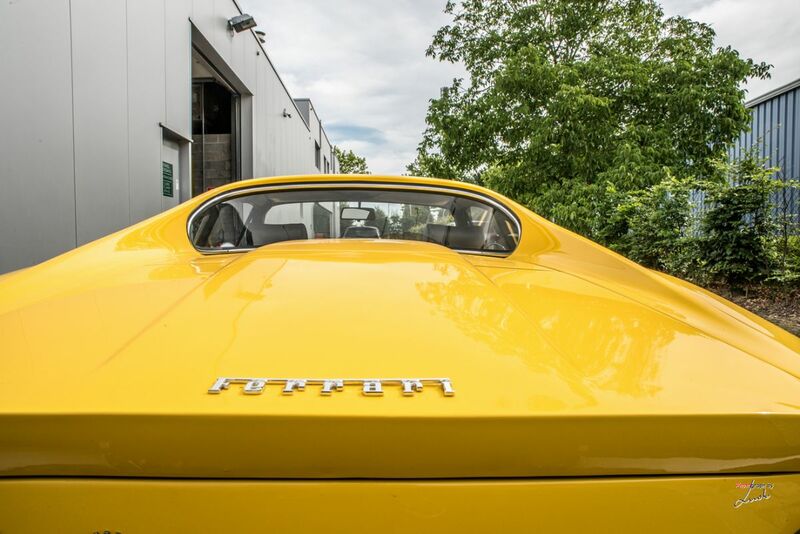 Some more specifications: 2-seater fixed head coupe, weight 1080kg, rear wheel drive, mid-engine (code 135CS) 2.4 L, 2419cc, double overhead camshaft, 192 bhp at 7600 rpm, 3 weber carbs , 5-speed gearbox.